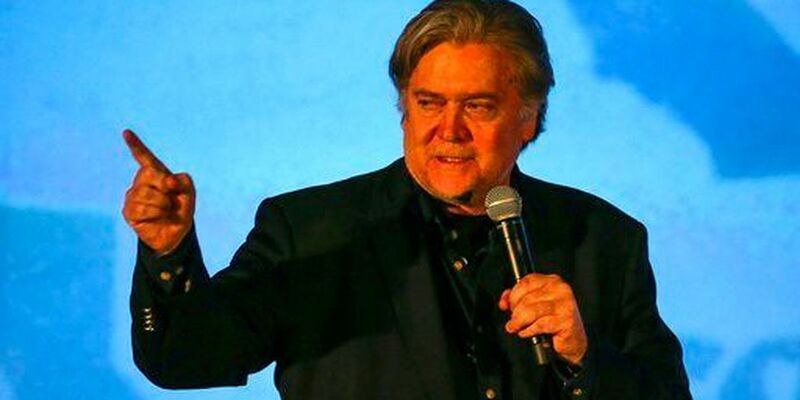 CHARLESTON, SC (WCSC) - Steve Bannon is set to make appearance in the Lowcountry soon and reaction is coming in from Charleston party and state representatives. The former chief strategist for President Donald Trump will be the keynote speaker at the Patriots Dinner, an event put on by the Citadel Republican Society. The group's website describes itself as the official campus auxiliary of the Republican party on the campus of The Citadel. It claims to be the largest club on campus and the largest Republican club in the South. "We are disappointed that the Republican Society has invited Steve Bannon to come speak at the Citadel," Charleston County Democratic Party Chairman Brady Quirk-Garvan said in a statement. "Bannon is an unabashed white nationalist and racist and he is not welcome in Charleston. The Republican Society should be ashamed for bringing this racist bigot to the Holy City." "There is so much noise about who or what Bannon is," Charleston County Republican Party Chairman Larry Kobrovsky said in a statement. "Let the guy speak and let people draw their own conclusions. To suggest that the guy couldn't come and speak is repulsive. We should hear from everybody, but I reject any kind of racial nationalism - white, black or Hispanic." State Rep. Wendell Gilliard is callling for a meeting with the top command at the Citadel to discuss the plan. "Bannon is like a gangster, moving around the country, threatening the GOP if they don't get on the Trump train. This surely is a gangster-type attitude and thug-like behavior." The tickets for the event start at $55 and range up to $1,000 for a table of 8. A presenting sponsorship for the event costs $5,000. Trump himself was honored by the club at the same event in 2015. Bannon left Trump's White House in August after helping him shape policy in the former real estate mogul's first seven months in office.